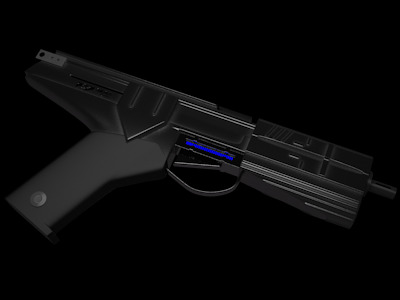 When Merr-Sonn originally designed the DD6 pistol, they were aiming at the growing market of independent spacers. These people have very little time to concentrate on weapons training, unlike their military counterparts. So they designed a weapon that could get an unskilled user out of trouble quickly. This meant that the people who bought it could spend their valuable time honing their starship and trading skills, but would still have a reliable weapon to count on if things went badly.